Marin County Fair, 11am-11pm, Civic Center Drive, San Rafael. Puppet Art Theater Co. Presents "Cinderella", 11am, ages 3+, Corte Madera Library. Hoopman Eddie Madril, 1pm, Experience the artistry of Native American hoop dancing with EddieMadril, Pascua Yaqui tribe member. Council Chambers. San Anselmo Library. Hoopman Eddie Madril, 3:30-4:30pm, Mill Valley Library. Magic Wands, 3-4:30pm, Ages 4+, Wizard, fairy, or witch, everyone needs a magic wand. Come make your own! Sausalito Library. Puppet Art Theater Co. Presents "Cinderella", 3:30-4:30pm, ages 3+, Marin City Library. Puppet Art Theater Co. Presents "Cinderella", 7pm, ages 3+, Fairfax Library. Film of the Month, except Tuesdays, Snow White and the Seven Dwarfs (11am & 1:30pm) & Swiss Family Robinson (4pm), The Walt Disney Museum, San Francisco. Kids Camp, 12-2:30pm, free, grades 6-8, Dance with Joyce Kushner, Stern Grove. Boat Races, Use everyday recycled materials to design, build, and test your own boat. Learn the physics that allow your boat to stay afloat, then practice your newfound knowledge in the Forces that Shape the Bay pond. Lawrence Hall of Science, Berkeley. Hands-on STEM Drop-In, 2:30-4pm, grades K-5, Drop-in and be a scientist, engineer, and a mathematician for the afternoon. We'll have several stations for you to explore, investigate, observe, and make, Mill Valley Library. SHARE a Book, Read to a Dog, 3:30-4:30pm, Want to have a “paws-itive” reading experience? Come share a book withthe Marin Humane Society SHARE-A-Book dogs. Kids in kindergarten andolder can sign up for a 15-minute appointment. San Anselmo Library. Summer Movie Clubhouse, 10am, Penguins, $5 for 10 movies or $1/show, Rowland, Novato. Fair Fireworks and S’more Feast, 8:30 – 10:30pm, see the Marin County Fair fireworks from the top of the Nike Site at McInnis Park, McInnis Park, 310 Smith Ranch Rd, San Rafael. Caterpillar Puppets, 11am & 12:15pm, Yerba Buena Gardens, San Francisco. Opera at the Ballpark, 7:30pm, free, Mozart's "The Marriage of Figaro", AT&T Park, San Francisco. Saturday, July 4, See list of 4th of July Celebrations. Santa Venetia Marsh Stroll, 10am – 1pm, one mile hike is a great introduction to exercise for all ages. Meet at the Vendola Drive entrance (across from the old McPhails School). Fillmore Jazz Festival, 10am-6pm, Fillmore (between Jackson & Eddy), San Francisco. Stern Grove Festival, 2pm, free, San Francisco Symphony, San Francisco. Temescal Street Fair, Telegraph Avenue between 51st and 42nd, Berkeley. The Wolf Who Ate the Sky, 2:30pm, meet Charles Hobson, Mary Daniel Hobson, and Anna, the authors and illustrator of this three-generation project, Mill Valley Library. Board Game Day, 2-3:30pm, Civic Center Library. Civic Center Grounds Clean-up, 3 – 5pm, All ages are welcome, Meet in front of the Veterans’ Memorial Auditorium 10 Avenue of the Flags, San Rafael. Mini-Book: Make Your Own, 3:30-5pm, Ages 9-12, Want to make a book? We’ll make 8-page books from single sheets of paper, and decorate the cover, write a story, draw pictures, whatever you would like, Sausalito Library. Summer Movie Clubhouse, 10am, Night at the Museum 2, $5 for 10 movies or $1/show, Rowland, Novato. Little Sprouts: Totally Tote Bag, 11-11:45am, ages 2-5, Mill Valley Library. Vegetarian Summer Rolls, 3-4:30pm, grades 6-12, Learn to make fresh summer rolls with chef Suzanne Griffin from Cooking by the Bay. Suzanne will teach the steps to making this delicious and healthy snack and the sauces, Fairfax Library. Coventry & Kaluza, 3:30pm, All ages, Hula hoops, music, comedy, and acrobatics—this show has it all. Bring a blanket to sit on and join us in Robin Sweeny Park, Sausalito Library. Laugh-Out-Loud Book Club, 4-4:45pm, grades 3-5, We’ll read aloud My Life as a Book by Janet Tashjian. Mill Valley Library. Middle Grade Mini Maker Lab, age 9-12, Corte Madera Library. Library LEGO Club, ages 5+, 7:30pm, Get in touch with your inner engineer! San Anselmo Library. Teen Movie Night, 6-8pm, grades 6-12, Novato Library. Kids Day, 2pm, free, Halau O' Keikiali'i, Stern Grove. Puppet Art Theater, 1pm, combines wit, humor, and audience participation toentertain and captivate audiences of all ages. Council Chambers. San Anselmo Library. Puppet Art Theater, 3:30-4:30pm, Mill Valley Library. Magician Mike Della Penna, 3pm, ages 6+, San Rafael Library. LEGO Club, 3 & 4:30pm, ages 3+, We have a huge Lego collection, come build with us! Lego Club meets the 2nd Wednesday of every month, Sausalito Library. Cascada de Flores, 5:30pm, Join us for a fun evening of music and crafts! Novato Library. Henna Tattoos, 5:30-7pm, grade 6-12, make Henna tattoos with professional artist Rachel Palacios. Point Reyes Library. Magician Mike Della Penna, 7pm, ages 3-8, Pickleweed Library, San Rafael. Shrek, Marin Country Mart, Larkspur. San Francisco Mime Troupe, free, donations accepted, Mill Valley Community Center, on the Back Lawn. Electricity Festival, From your phone to the lights in the room, electricity is all around us. Discover the science behind energy through interactive and hands-on activities. Use everyday materials to create your own light-up creations, and experience some hair-raising fun with our Van de Graaff generator. Lawrence Hall of Science, Berkeley. Books, Building, Boxes and Play, 11am-noon, For kids entering kindergarten in the fall and younger, Join Molly for stories, songs and play, Sausalito Library. Alphabet Rockers, 11am, Belvedere Tiburon Library. Sean’s Shadow Puppet Show, 11am, Musician and puppet artist Sean Powers performs beautifully craftedshadow puppet plays adapted from folklore. Council Chambers. San Anselmo Library. GardenSmart for Kids: Junior Gardener, 2:30-4pm, grade 3-5, We’ll discuss feeding the soil, seeds, and growing your own food, Mill Valley Library. Shadow Puppet Theater with Sean Powers, 3:30pm, Ages 5+, Sausalito Library. Teen Book Club: American Born Chinese, 3:30-4:30pm, Civic Center Library. Puppet Art Theater presents “Tommy's Train Troubles”, 4pm, Tommy’s taking the train to see his grandma, but gold bars, musical trap doors, and a train robber will make Tommy’s journey unforgettable. Will Tommy save the train and its load of gold? Find out in "Tommy's Train Troubles!" Space is limited. Please RSVP to library@cityoflarkspur.org or 415-927-5005. Family Zumba, 4:30-5:30pm, Bolinas Library. Lego Mindstorms Robotics Workshop, 7-8:30pm, grade 6-8, Mill Valley Library. Into the Woods: A Walk and Talk, 11am-1pm, Myths and tales from the forest, Muir Woods. The Bubble Lady, 2-3pm, Civic Center Library. Jewelry Making with Chelsee Robinson, 2:30-4pm, grade 3-5, Mill Valley Library. Pi Clowns, 11am & 12:15pm, Yerba Buena Gardens, San Francisco. Aramburu Island Enhancement, 9am – 1pm, ages 12+, Meet at the intersection of Greenwood Bay Dr. and Greenwood Cove Dr. across from the 76 gas station in Tiburon. San Rafael Rocks Block Party, free, featuring Rock Art by the Bay, the annual Summer Art Show, partying in the streets with rock bands, free children’s art activities, fabulous food from local restaurants, beverages and much more, downtown San Rafael. STEAM with the Bay Area Discovery Museum! Fairytale Engineering, 11am-12pm, ages 4-8, San Rafael Library. Deer Island Sunset Hike, 8 – 9:30pm, all ages, discover nocturnal wildlife and enjoy the unique views of this wonderful preserve. Meet at the gate on Deer Island Ln in Novato. Summer Concert on the Green, Novato. Contact, Book by Carl Sagan & Ann Druyan, Directed by Robert Zemeckis Post discussion led by Dr. Carolyn Porco, Science Advisor on the film Jodie Foster portrays the film’s protagonist, Rock Springs parking lot, Mountain Theater, Mill Valley. Mill Valley Campout, 4pm, include fun activities, special entertainer, campfire with s’mores, dinner, breakfast, camping space and more, Mill Valley Community Center. Film Night in the Park, sunset, Bedknobs & Broomsticks, Contratti Park, Central Field, Fairfax. Beatles Tribute, Creek Park, San Anselmo. Science Saturdays at Mountain Lake, 2-3pm, Mountain Lake Mussels: The Importance of Native Mussels for Improving Water Quality, San Francisco. Marine Science Sunday, Marine Mammal Sounds: What Are They Saying?, Docent-led tours at 11 am, 1 pm and 3 pm, Free Classroom presentations at 12 pm and 2 pm, Marine Mammal Center, Sausalito. Redwoods, Climate Change, and Citizen Science, 10am – 1pm, all ages, team up with Save the Redwoods League to focus on one of the most magnificent living things on our planet: The coast redwood, Meet at the Roy’s Redwoods Loop trailhead on Nicasio Valley Rd in San Geronimo. Free San Francisco Symphony Concert at the port on the waterfront. Stern Grove Festival, 2pm, free, Amy Hanaiali’i and the Stern Grove Festival Orchestra, San Francisco. Circus of Smiles, 10-11am, Tyler and Andrew of Circus of Smiles promise circus fun for everyone! They will juggle, tumble and laugh their way right into your heart! Bolinas Library. Circus of Smiles, 1-3pm, Point Reyes Library. Stories and More: The Mighty Bee Project, 2:30-3:30pm, The Planet Bee Foundation presents a hands-on, family-friendly workshop about bees and why they’re important to the environment. They’ll lead interactive games and bring an observation hive. Mill Valley Library. Pin it Up!, 3:30-5pm, Ages 9-12, We’ve got a button-making machine, let’s put it to use! Quotes, drawings, photos, slogans….come design and make pins (or buttons, call them whatever you like), Sausalito Library. Special Olympics World Games Torch Run Ceremony, 7pm, celebration with live music, a gymnastics performance and keynote speeches from city leaders will be held on the Civic Green at City Hall, Novato. The next step: Making your nature drawings come alive with John Muir Laws, 10-11:30am, Richardson Bay Audubon Center, Tiburon. Summer Movie Clubhouse, 10am, How to Train Your Dragon 2, $5 for 10 movies or $1/show, Rowland, Novato. Little Sprouts: Jump & Dance with Jaime Currier, 11-11:45am, Mill Valley Library. Magic Dante, 3:30pm, All ages, Silliness, magic, and circus tricks! Bring a blanket to sit on and join us in Robin Sweeny Park, Sausalito Library. Carnival of Chaos, 1pm, presents their world-class variety act includinginsane juggling, dangerous stunts, and musical parody the whole familywill love. Council Chambers. San Anselmo Library. Drawing from Nature with Ane Carla Rovetta, 2:30pm, ages 6+, San Rafael Library. Paper Bag Puppets, 3-4:30pm, Ages 4+, Lions, mermaids, turtles, & more—make your own paper bag puppet, Sausalito Library. Wednesday on Stage: Mark and Dre Comedy Show, 3:30-4:30pm, Mill Valley Library. 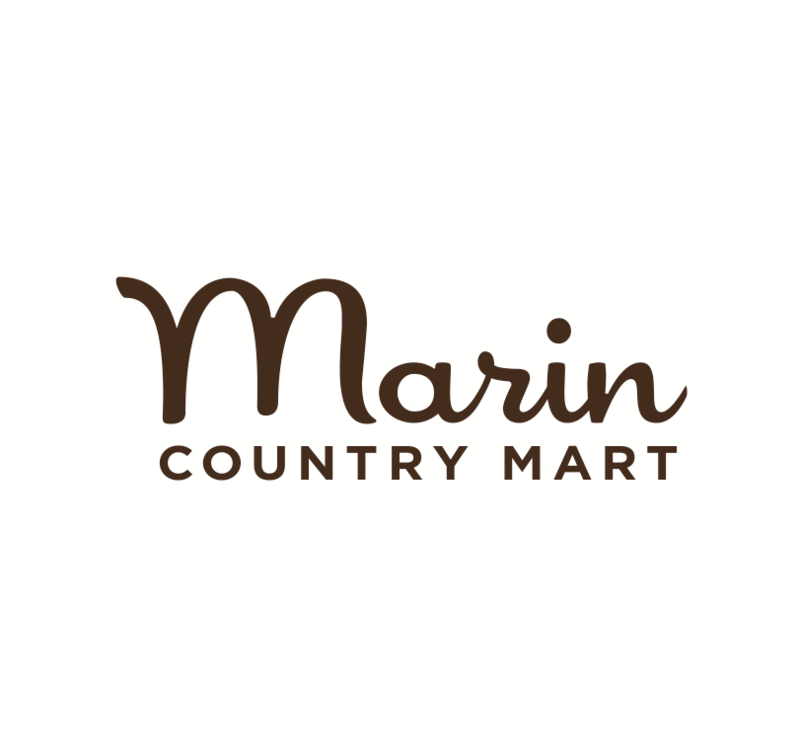 The Sound of Music, Marin Country Mart, Larkspur. Pizza & Pages Book Club, 7-8pm, grade 6-8, Airborn by Kenneth Oppel, Mill Valley Library. Ice Cream Day, "I scream, you scream, we all scream for ice cream!" Join Chevron and the Hall for a tasty summer treat. Use some chemistry and mix cream and sugar to make your own homemade ice cream. Then, try the classic Bay Area taste with scoops from Fenton's Creamery. Lawrence Hall of Science, Berkeley. Push, Pull, Crash! 2:30-4pm, grade K-2, Young scientists will experiment with push and pull of different magnitudes to cause and avoid collisions, create art, and engage in playful exploration of their own powers of force, Mill Valley Library. Magical Moonshine, 3:30pm, Ages 5+, Adorable puppets and live music—these puppeteers are Sausalito (and librarian) favorites, Sausalito Library. Duct Tape Wallets, 3:30pm, grades 6-8, San Rafael Library. SHARE a Book, 3:30-4:30, Read to a DogWant to have a “paws-itive” reading experience? Come share a book withthe Marin Humane Society SHARE-A-Book dogs. Kids in kindergarten andolder can sign up for a 15-minute appointment. San Anselmo Library. "Spin Me a Shadow, Tell Me a Tale", 4pm, two folk tales performed by Daniel Barash’s Shadow Puppet Workshop. Come discover the magical world of shadow puppetry. Audience participation is encouraged, and volunteers will be invited to help perform the show! Space is limited. Please RSVP to library@cityoflarkspur.org or 415-927-5005. Ethan the Magician, 7-8, Corte Madera Library. Family Zumba, 7-8pm, Bolinas Library. Masquerade Party, 8-11pm, grades 6-12, Novato Library. J.J. Abrams’s Star Trek, 7:30pm, Feature film with live orchestra, San Francisco Symphony. Children’s Outdoor Bill of Rights Day on Angel Island, 10:30am-3pm, free, ages 5-18, have the opportunity to 1) play in a safe place; 2) explore nature; 3) learn to swim; 4) go fishing; 5) follow a trail; 6) camp under the stars; 7) ride a bike; 8) go boating; 9) connect with the past; and 10) plant a seed with Angel Island State Park rangers and staff. Shadow Puppet Theater + Workshop, 2:30-4pm, Daniel Barash and The Shadow Puppet Workshop. Daniel teaches about the art of shadow puppetry while telling a Southeastern Asian Folktale. Stay for the Workshop after the show and make your own shadow puppets, Mill Valley Library. Family Movie Night, 8:30 – 10:30pm, How to Train Your Dragon 2, popcorn, and more! Stafford Lake Park, 3549 Novato Blvd., Novato. Film Night in the Park, sunset, Star Trek Into Darkness, Creek Park, San Anselmo. Teen Murder Mystery Party, 5-8pm, the library is closed but the game is on, Corte Madera Library. Concert Under the Oak, 6-8pm, Northgate Mall, San Rafael. The Unique Derique, 11am & 12:15pm, Yerba Buena Gardens, San Francisco. Girls Can Become Park Rangers Too, THIS IS EVENT IS CANCELLED, 10am – 12:30pm, ages 6-12, enjoy a healthy snacks and cold drinks and learn about what a Marin County Park Ranger does and how to become a park ranger. Boys welcome too. Meet at the Marin County Parks Lucas Valley Field Office in San Rafael (18 Jeannette Prandi Way). Big Time Festival, 10am-4pm, learn more about the culture and traditions of the Miwok, demonstrators will exhibit their skills in basketry, flint knapping, clamshell bead making, and more, Kule Loklo, Point Reyes. Upcycled Instruments, 10am-12pm, Novato Library. Peter Pan Traveling Lantern, 11am, Belvedere Tiburon Library. Canvas Art Project with Victoria, 11:30am, ages 5+, Listen to songbirds while creating your own songbird canvas art, Pickleweed Library, San Rafael. Teen Summer Book Club, 3-4pm, Fairfax Library. Family Fun Nights, 5-7pm, $10 for the whole family, Neon/80's Night, enjoy the pool, games, raffles, jumpee, face painting, nail salon and movies for those who do not want to swim, Mill Valley Community Center. Film Night in the Park, sunset, Raiders of the Lost Ark, Creek Park, San Anselmo. Back to the Future, 7:30pm, Feature film with live orchestra, San Francisco Symphony. Tour The Marine Mammal Center and Walk Down to Rodeo Beach, 10am-12:30pm, Sausalito. Great American Blues & Barbecue Festival, San Rafael. Sommerfest, 12-6pm, great food, drink, live music, and dancing, German Tourist Club, Mill Valley. Weekend Family Fun, 12:30-4:30pm, Summer Olympics, JCC Pool, San Rafael. Back to the Future, 2pm, Feature film with live orchestra, San Francisco Symphony. Stern Grove Festival, 2pm, free, tUnE-yArDs, San Francisco. Maker Camp, 9am-12pm, grades 6-12, Novato Library. World of Music with Amber Hines, 10:30-11:30am, Stinson Beach Library. Galaxy Tie-Dye, 2-4pm, Civic Center Library. Stories and More: Fairy Magic, 2:30-3:30pm, Listen to some enchanted fairy stories, then craft your very own fairy from a clothespin, felt, notions and objects from nature, Mill Valley Library. Candy Sushi: Yum Yum, 3:30-5pm, Ages 9-12, Learn how to make ‘sushi’ with your favorite candy. We’ll provide the candy! Sausalito Library. Nature for Kids: Dragonflies! 10am – 1pm, learn all about these fascinating insects that have been on earth since before the age of dinosaurs. We’ll observe and discuss their behavior as they perform aerial acrobatics and interact with each other. Meet at the Lake Lagunitas parking area. Summer Movie Clubhouse, 10am, Alvin and the Chipmunks, $5 for 10 movies or $1/show, Rowland, Novato. Little Sprouts: Sensory Exploration Time, 11-11:45am, age 2-5, Mill Valley Library. Garden Club, 2:30-3:15pm, Mill Valley Library. Crosspulse Rhythm Duo, 3:30pm, All ages, Using bells, banjos, boxes and balls, the Crosspulse Rhythm Duo makes music out of anything and everything. Come check out their high-energy, dynamic performance, Sausalito Library. Library LEGO Club, 3:30pm, Get in touch with your inner engineer! Age 5 and up. Council Chambers. San Anselmo Library. Kids Day, 2pm, free, San Francisco Ballet Center for Dance Education, Stern Grove. World of Music with Amber Hines, 10:30-11:30am, Inverness Library. Wildcare brings Opossum, Owl, and Rosy Boa, 11am, Corte Madera Library. Crosspulse Rhythm Duo, 1pm, Enjoy a masterful performance of outrageously creative body percussionand instrumental music making. Council Chambers. San Anselmo Library. Henna Art for Teens, 1-2:30pm, Corte Madera Library. Learn Origami with Ruth Stotter, 2:30pm, ages 6+, San Rafael Library. Summer Movie, 3pm, Stay tuned for more information! Sausalito Library. Wednesday on Stage: Crosspulse, 3:30-4:30pm, Mill Valley Library. Henna Art for Teens, 3:30-5pm, Marin City Library. Charlotte's Web, Marin Country Mart, Larkspur. Kids Book Club: Ophelia & The Marvelous Boy, 7-8pm, Corte Madera Library. Trapeze Spectacular, Shows at 12:30pm & 1:30pm, High-flying stunts will captivate you as the troupe "Les Aerielles" performs aerial acrobatics. How do they use laws of physics to spin, climb, and make such beautiful shows? Bring your sunglasses—along with the whole family—and enjoy this amazing outdoor event. Lawrence Hall of Science, Berkeley. Bay Area Wild, 11am, Belvedere Tiburon Library. Lego Mindstorms Robotics Workshop, 2:30-4pm, grade 4-5, Mill Valley Library. Fratello Marionettes, 3:30pm, Ages 5+, Not to be missed! This year they’ll perform The Frog Prince, based on the classic fairy tale, Sausalito Library. Ian Lendler and the The Stratford Zoo Midnight Revue, 3:30pm, Join us as local author (and all-around nice guy) Ian Lendler talks about his hilarious graphic novel Civic Center Library. Electric Origami, 3:30pm, grades 6-8, Fold a lotus and other origami creations, and learn how to light them up with LEDs and batteries, San Rafael Library. Peter Pan by the Traveling Lantern Theater Company, 4:15PM, Fly away with the Darling children to Neverland, where Peter battles with a band of pirates and his arch enemy: the villainous Captain Hook. Traveling Lantern is a theater group whose mission is to bring great stories to children, to draw them into an active theater experience, to excite their minds and to tickle their imaginations. Space is limited. Please RSVP to library@cityoflarkspur.org or 415-927-5005. Push, Pull, Crash! 1 pm, Balls, marbles and cars…oh my! Young scientists experiment with pushand pull of different magnitudes to cause and avoid collisions, createart, and engage in playful exploration of their own powers of force, San Anselmo Library. Henna Tattoos, 3pm, Make Henna tattoos with professional artist Rachel Palacios. San Anselmo Library. Blacksmith Forge Demonstration, 7-8:30pm, grade 6-8, With an anvil, hammer and bellows, local enthusiast Tom Lamar will turn iron into a "magic wand" before your eyes. Tom will bring his own forge to the library for this fascinating demonstration and glimpse into the past, Mill Valley Library. Into the Woods: A Walk and Talk, 11am-1pm, web of water, Muir Woods. Create Your Own Hula Hoop, 2:30-4, grade 3-5, Mill Valley Library. Friday Nights on Main, 6-9pm, music, food, kids activities and more, Tiburon. The Outer Space from Open Space, 7:30 – 9:30pm, identify the major constellations and talk about the legends behind them. Meet at the gate on San Andreas Dr in Novato. Chelle! & Friends, 11am & 12:15pm, Yerba Buena Gardens, San Francisco. Sonoma County Fair, 1350 Bennet Valley Road, Santa Rosa. Cinema Night, 6-9pm, $5, The Natural World, enjoy a series of short, family-friendly films that celebrate natural wonders of the world, CuriOdyssey, San Mateo. Creekside Restoration with Save The Bay, 9am – 12pm, ages 5+, Meet across from Marin General Hospital at Hal Brown Park at Creekside. Far West Fest, 10am-7pm, Love Field, Point Reyes Station. Junior Chef Class, 10am, ages 5–13, DIY Ice Cream Sandwiches, Williams-Sonoma, The Village at Corte Madera. Marin Rod & Gun Club Picnic, 10am-6pm, free, family event with game booths, live music, rides and BBQ. The annual picnic is a free event open to the public, Waterfront in San Pablo Bay at Point San Quentin, San Rafael. Multicultural Music from Around the World, 11am, ages 3+, Fairfax Library. STEAM with the Bay Area Discovery Museum! Push, Pull, Crash! 11am-12pm, ages 3-6, San Rafael Library. Bilingual Storytime with Jon Elison, 11am, Corte Madera Library. Creative Arts Festival, 11am-2pm, celebrating the San Francisco Gold Rush, costumes encouraged, Flax Art & Design, San Francisco. Ethan the Magician, 1-2pm, Marin City Library. Circus Bella, 2-3pm, free, Pickleweed Park, San Rafael. Henna Tattoos, 3:30-5pm, Make Henna tattoos with professional artist Rachel Palacios. Fairfax Library. Mt. Tam Star Party, 8:30pm, free, “Weighing Galaxies“, Rock Springs parking lot, Mountain Theater, Mill Valley. Film Night in the Park, sunset, Pitch Perfect, Creek Park, San Anselmo. North Bay Mobile Drive-In, 9pm, Godzilla vs. Mechagodzilla, 520 Palm Drive, Novato. Sundays on Sherman, 11am-3pm, free, Sherman Avenue will be traffic free so we can take over the streets with walking, biking, roller blading, yoga, Jazzercize and rock climbing, Novato. Stern Grove Festival, 2pm, free, San Francisco Ballet, San Francisco. Vegetarian Summer Rolls, 2-3:30pm, teens, Civic Center Library. Stories and More: Amazing Jellies, 2:30-3:30pm, read stories about these mysterious creatures you sometimes see at the beach, and then you'll make your own jellyfish. Mill Valley Library. Faux Taxidermy, 3:30-5pm, Ages 9-12, Join us as we ‘stuff and mount’ plastic dinosaurs, monsters, tigers, and other creatures. Take home a trophy! Sausalito Library. Summer Movie Clubhouse, 10am, Diary of a Wimpy Kid, Dog Days, $5 for 10 movies or $1/show, Rowland, Novato. Tony Borders in Peter Pan - Hero of Imagination, 10:30-11:30am, Tony Borders is a West Marin favorite. Ventriloquist, Magician, Puppeteer - Tony does it all! Inverness Library. Little Sprouts: Plant a Seed, 11-11:45am, ages 2-5, Mill Valley Library. Tony Borders in Peter Pan - Hero of Imagination, 1:30-2:30pm, Stinson Beach Library. Howtoons, 2-3pm, comics that teach kids how to make things using everyday household objects, Marin City Library. Share a Book With a Dog! New or struggling readers are invited to spend time reading to a specially trained dog to build their literacy skills. These dogs and their owners have been trained by the Marin Humane Society, and are patient and very good listeners. Please call us at 415-927-5005 or email us at library@cityoflarkspur.org to set up a 15 minute one-on-one appointment time just for you! Drumming Mayhem with Mika Scott, 3:30pm, All ages, Wild, kid-friendly drumming. We’ll provide all the instruments. Bring a blanket to sit on and join us in Robin Sweeny Park, Sausalito Library. Family Game Night & Photo Booth, 5-8pm, Civic Center Library. Super Secret Summer Party - 300 Minute Challenge, 6-8pm, Your mission, should you choose to accept it, is to reach the 300 minutes of reading mark on your Summer Reading Log so you can gain entrance to our Super Secret Summer Reading Event. Our secret activity will be revealed at the Children’s Desk on Monday, July 20th. Novato Library. Kids Camp, 12-2:30pm, free, grades 6-8, Songwriter/Spoken Word Camp with Zakiya Harris, Stern Grove. Junior Engineering: Building a Book Bearing Bridge, 2pm, San Rafael Library. Stuffed Animal Tea Party, 3pm, Ages 4+, Bring your stuffed animal or doll for a special tea time. We’ll read stories, do a craft, and have a snack. Please arrive at 3pm, if possible, Sausalito Library. Wednesday on Stage: Alicia Retes, Native American Storyteller, 3:30-4:30pm, Alicia Retes will bring West Coast Native American stories to life and play indigenous musical instruments, Mill Valley Library. Curious George, Marin Country Mart, Larkspur. Kid’s Air Faire, 11am-2pm, Hiller Aviation Museum. Big Bug Bonanza, Bring out your inner entomologist and discover a world right under your feet. Meet and touch small bugs, spiky ones, and even giant ones as you learn about their environments and lifestyles with the help of Save Nature. Lawrence Hall of Science, Berkeley. Timothy James Magic Show, 11am, Belvedere Tiburon Library. Fairytale Engineering, 2:30-4pm, Hear a favorite fairy tales and decide how to solve the fairy tale character's engineering problem. A Bay Area Discovery Museum educator will lead the discussion and assist you as you plan, build and test your prototypes, Mill Valley Library. Puppet Art Theater, 3:30pm, Ages 5+, Join us for The Boy Who Cried Wolf, Sausalito Library. Skate Jam, 6-9pm, San Rafael Farmers Market. Harry Potter Party, 7-8:30pm, grade 6-8, Mill Valley Library. Santa Clara County Fair, 344 Tully Rd., San Jose. Saltwater Fishing Lessons for Kids, 10am – 12pm, McNears Beach Park, 201 Cantera Way, San Rafael. Elephant & Piggie Party, 2:30-4pm, Mill Valley Library. Film Night in the Park, sunset, Groundhogs Day, Contratti Park, Central Field, Fairfax. Library Lock-In, 7pm, grades 6-12, Party at the library after hours! Come to the Library when we are closed - for games, food, prizes and if you want, you can even sleep over! We will start the night with pizza and other snacks. If you choose not to sleep over, pick up will be at 11:00 p.m. Novato Library. Venezuelan Music Project, 11am & 12:15pm, Yerba Buena Gardens, San Francisco.